Stübinger, J., Schneider, L., 2019. Statistical arbitrage with mean-reverting overnight price gaps on high-frequency data of the S&P 500. Journal of Risk and Financial Management, 12(2), 51. Endres, S., Stübinger, J., 2019. Optimal trading strategies for Levy-driven Ornstein-Uhlenbeck processes, Applied Economics, 51(29), 3153-3169. 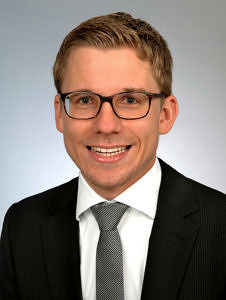 Stübinger, J., 2019. Statistical arbitrage with optimal causal paths on high-frequency data of the S&P 500. Quantitative Finance, forthcoming. Endres, S., Stübinger, J., 2019. A flexible regime switching model with pairs trading application to the S&P 500 high-frequency stock returns. Quantitative Finance, forthcoming. Knoll, J., Stübinger, J., Grottke, M., 2019. Exploiting social media with higher-order factorization machines: Statistical arbitrage on high-frequency data of the S&P 500. Quantitative Finance, 19(4), 571-585. Stübinger, J., Endres, S., 2018. Pairs trading with a mean-reverting jump-diffusion model on high-frequency data. Quantitative Finance, 18(10), 1735-1751. Stübinger, J., Knoll, J., 2018. Beat the bookmaker – Winning football bets with machine learning (Best Refereed Application Paper). In: Bramer M., Petridis M. (eds). Artificial Intelligence XXXV. Springer, Cham, 219-233. Stübinger, J., Walter, D., Knoll, J., 2018. Financial market predictions with factorization machines: Trading the opening hour based on overnight social media data. The Economics and Finance Letters, 5(2), 28-45. Stübinger, J., Mangold, B., Krauss, C., 2018. Statistical arbitrage with vine copulas. Quantitative Finance, 18(11), 1831-1849. Krauss, C., Stübinger, J., 2017. Nonlinear dependence modeling with bivariate copulas: Statistical arbitrage pairs trading on the S&P 100. Applied Economics 49(52), 5352-5369. Stübinger, J., Bredthauer, J., 2017. Statistical arbitrage pairs trading with high-frequency data. International Journal of Economics and Financial Issues, 7(4), 650-662. Mangold, B., Pleier, T., Brug, C., Nolzen, J., Stübinger, J., 2014. Verbesserung des Lernverhaltens durch Online-Tests – ein Jahr später. FAU Discussion Papers in Economics, 91, 1-30. Beat the bookmaker – Winning football bets with machine learning (Best Refereed Application Paper). Thirty-eighth SGAI International Conference on Artificial Intelligence, Cambridge, December 2018. Using higher-order factorization machines for enterprise value prediction. Research Series of GfK, Nürnberg, October 2017. Financial market predictions with Factorization Machines: Trading the opening hour based on overnight social media data. CEQURA Conference 2017 on Advances in Financial and Insurance Risk Management, München, September 2017.